You can purchase pork shoulder at Costco by the case. It includes 10 butts at about 7lbs each. I paid $1.65 per pound and saved about .20 per pound by purchasing the pork this way. Fired up the smoker for the first time this year with some pecan. Have a combo of deliciousness cued up with pork shoulder and beef brisket. Will be letting them go till they reach a temp of 190 degrees. Why 190 degrees? With both of these cuts of meat you will need more time and a higher finishing temperature to break down the fibers. You need to be patient with this and you will be rewarded with delicious bbq. 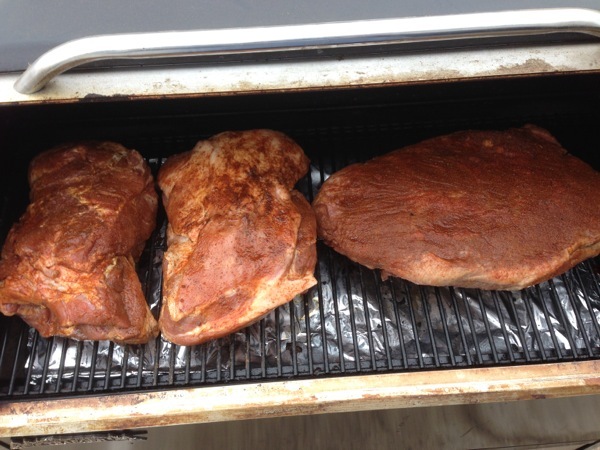 2 7lb Pork Shoulders dusted with Williamham's Original Mild and Porky's Gourmet Master Que. 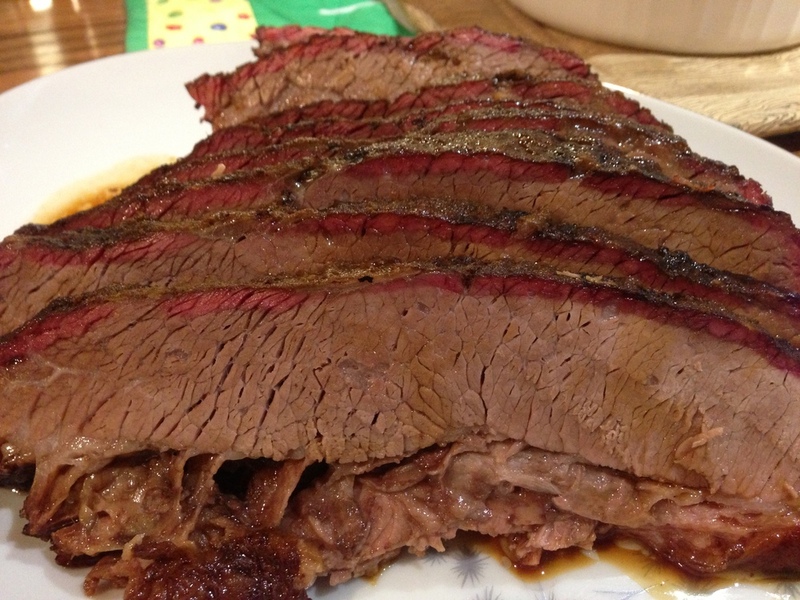 8 lb Beef Brisket with fat trimmed and heavily dusted with Obie-Cue's Bigbull's Texas Brisket Rub. iPhone with iCelsius set to ring the house when the brisket hits 190's.